One of the most important activities you as a parent can do with your infant is read to them on a regular basis and we have selected the best books for babies to help you get started. Infants quickly learn to recognize your voice and are soothed by the sound. In addition, studies show that children who have been read to from an extremely young age grow up to be readers themselves. They also have better reading and comprehension skills than children who have not been read to on a regular basis. Reading to your baby creates a warm bonding time between you and your child that makes them feel loved and special. With these things in mind, we have come up a list of some of the very best books for baby and you to enjoy together! Recommended for babies 6 months to a year, this Animal Touch And Feel Book is a book of few words that allows your infant to explore textures and introduces them to their first book. 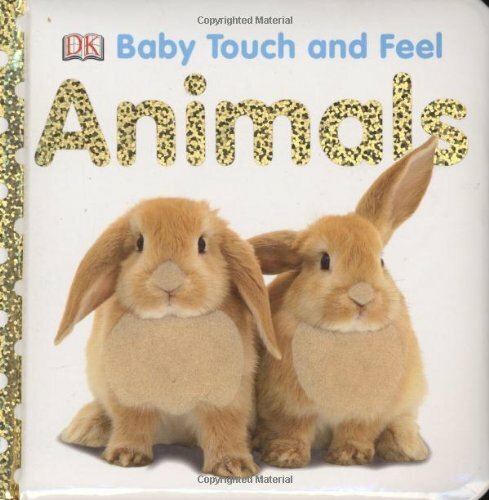 This book is made of heavily constructed cardboard with pictures of assorted animals with parts that your child can actually feel, such as the rabbit’s nose. Your little infant will get to enjoy cute puppies, adorable kittens, elephants, tigers and more! It is a wonderful sensory learning book for your child. As your baby grows and becomes even more interested in the book, because it’s a board book with durable cardboard, they won’t be able to tear the pages. This is a wonderful first book for any infant that both you and your baby will enjoy together. 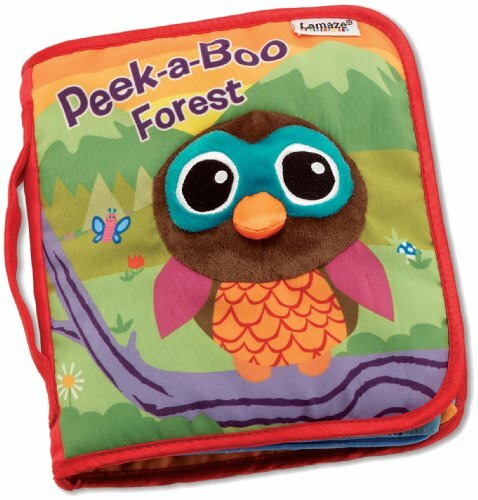 This Lamaze Peek-a-Boo Forest Soft Book is a cloth book that’s perfect for babies age 6 months to a year, although any baby who is sitting up on their own will love this book. Simple text and lift up flaps allow baby to interact with the book while listening to the simple story being read. There are 6 eye-catching pages for your infant to enjoy and they feature engaging rhymes that are perfect for storytelling time. Your child will hear about the different animals that live in the forest. You could build a nice book collection for your baby to enjoy and to create lasting memories. Little Blue Truck has a rhyming text and introduces young babies to a variety of animals and animal sounds, encouraging learning in a playful way. Recommended for babies age 6 – 12 months, this is a firm favorite with little boys, although there are many little girls who love this book too. 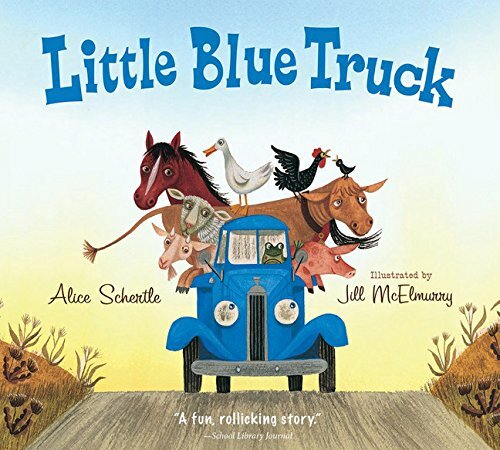 Alice Schertle is a renowned children’s author and this board book which tells the story of Blue, the pick up truck, is one of her bestsellers. The story is one about friendship, how important it is to have friends and how friends can help you out in times of need. There are lots of great animal noises and truck sounds for you to read aloud to your baby for a truly engaging storytelling adventure! Book is sturdy and should hold up with baby turning the pages and even throwing the book from time to time! 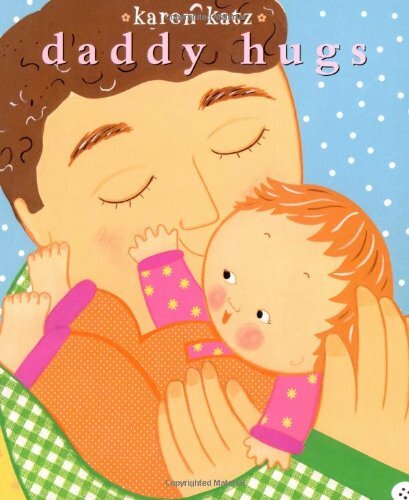 Daddy Hugs is a classic board book designed for babies age 6 months to 1 year. This book is suitable for both boys and girls and a perfect way for fathers to spend a little time with baby. This is a beautiful hug and read book suitable for tiny hands to hold while being cuddled by Daddy as he reads to them. It tells the story of all the different hugs that Daddy gives to his infant during the day. It is done through counting from 1 to 10 the various reasons babies get hugs from Dad. The illustrations are nice and it’s a wondering book to help Daddy and baby create a very special bond. Karen Katz is a renowned children’s book writer and illustrator who has written over 50 picture books. On The Night You Were Born celebrates your very special baby and the joy of their arrival into your life! This beautiful colorful book celebrates the uniqueness of a newborn, how there is no one like them in the world. The rhyming story tells of animals and creatures across the world celebrating with joy the arrival of a newborn baby. It’s a wonderful uplifting story to share over and over with your infant, reminding them how special they are and the joy and happiness they have brought into your life from the moment they were born. 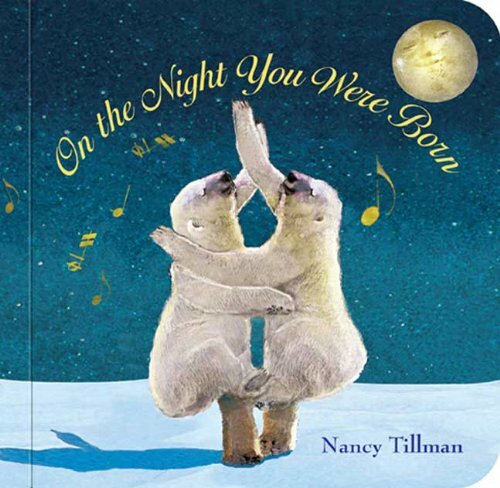 Nancy Tillman is an acclaimed author who creates bestselling books like this one which is designed for children age 6 months and up. 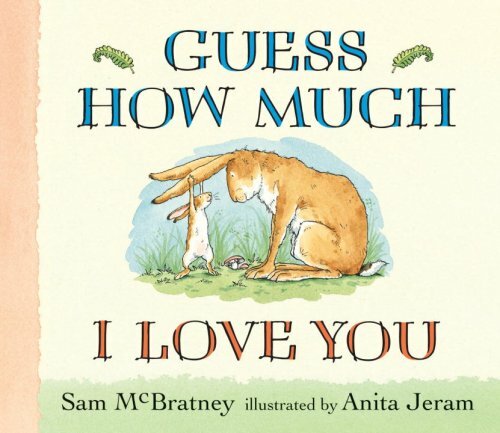 Guess How Much I Love You is a board book for babies age 6 months to one year old and is a cute story of a father and son who express their love for one another. The main characters are Little Nutbrown Hare and his Dad called Big Nutbrown Hare. Little Nutbrown really wants to show his Dad how much he loves him. And of course, Big Nutbrown wants to show his son how much he loves him back. It is a beautiful captivating story that your infant will enjoy hearing over and over. Through reading this book to your baby as they grown, you will create very fond memories and a very special bond. Sam McBratney is a very popular children’s book writer and this popular book is a heartwarming tale of the love between a father and son. 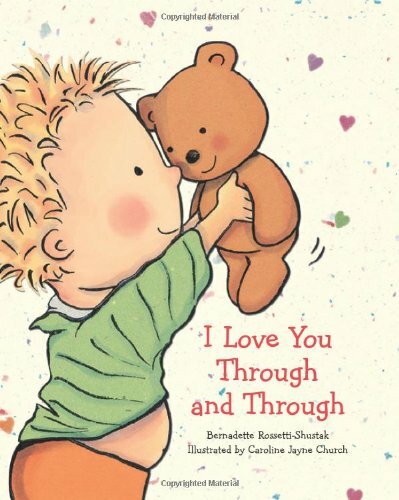 I Love You Through And Through is a board book about unconditional love that a parent has for their child. Designed for babies age 6 months to 1 year old, it features a toddler and his teddy bear who show a child’s fun side, silly side, happy side, mad side etc. It’s a very simple book that shares in an engaging storytelling way, how you love and always will love every single part your baby. You can use the book to teach your infant parts of the body, such as fingers, toes, eyes, nose, and more. Your child will enjoy the nice big pictures and having the rhyming story read aloud to them. It will grow with your baby because it is a great book for toddlers who really love the story. Bernadette Rosetti Shustak is an acclaimed children’s author and she wrote this book because she believes that it is very important for parents to assure their children that they are loved and supported no matter what.